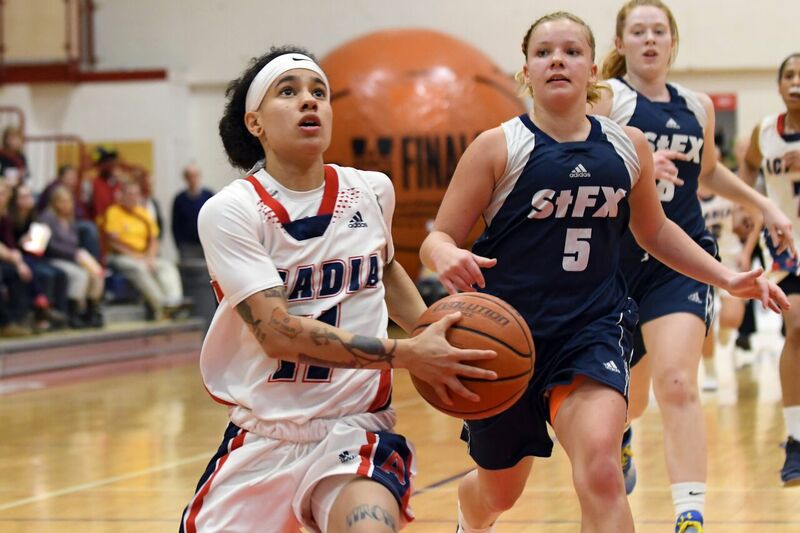 Acadia guard Paloma Anderson was honoured with the Nan Copp Award as U SPORTS women’s basketball Player of the Year Wednesday night, as the national award winners were celebrated at the annual All-Canadian gala. 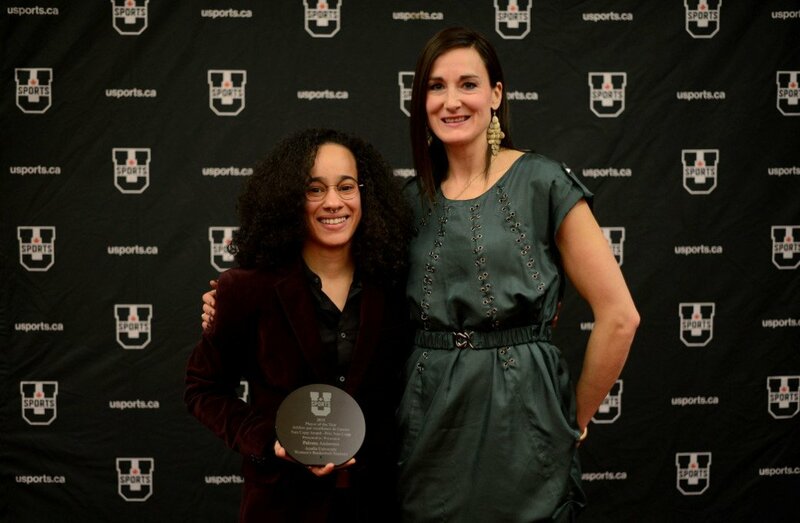 Regina guard Carolina Gonçalves captured the Kathy Shields Award as Rookie of the Year, while UPEI forward Kiera Rigby earned the Sylvia Sweeney Award for Student-Athlete Community Service for her outstanding contribution both on and off the court. 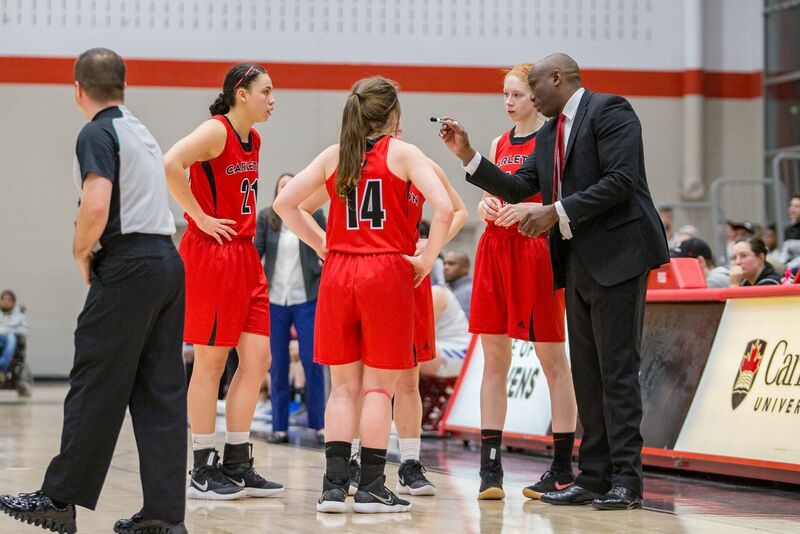 Carleton forward Elizabeth LeBlanc is the Defensive Player of the Year, while her bench boss Taffe Charles received the Peter Ennis Award as Coach of the Year. Finally, Winnipeg forward Lena Wenke is the winner of the Tracy MacLeod Award for her courage in overcoming adversity. 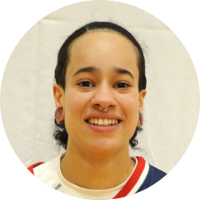 Paloma Anderson, a 5-foot-1 guard with the U SPORTS No. 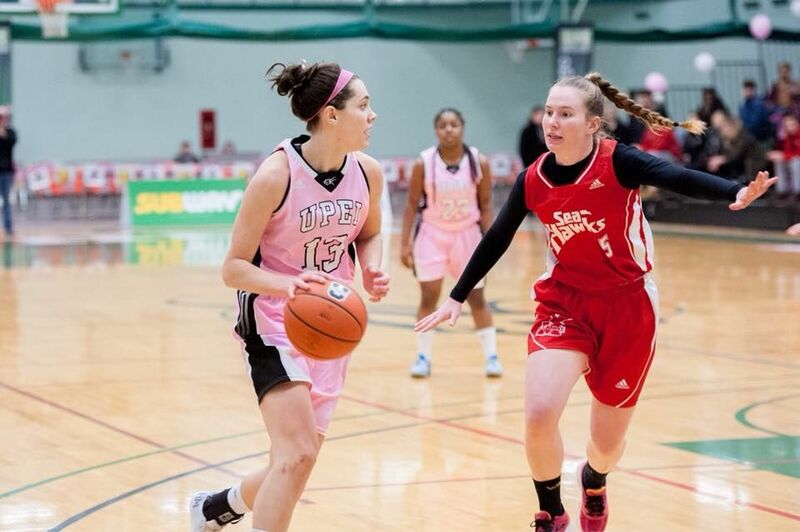 3-ranked Acadia Axewomen, is the U SPORTS women's basketball most valuable player. A fourth-year sociology student in her fifth year of eligibility for Acadia, Anderson averaged 18.9 points and 6.8 rebounds per game for the top-ranked Axewomen this season. She led the nation in assists, averaging 5.5 per game. Her 52 steals this season were the most in the Atlantic conference, while her average of 2.6 steals per game was the second best in AUS, both ranking ninth in U SPORTS. 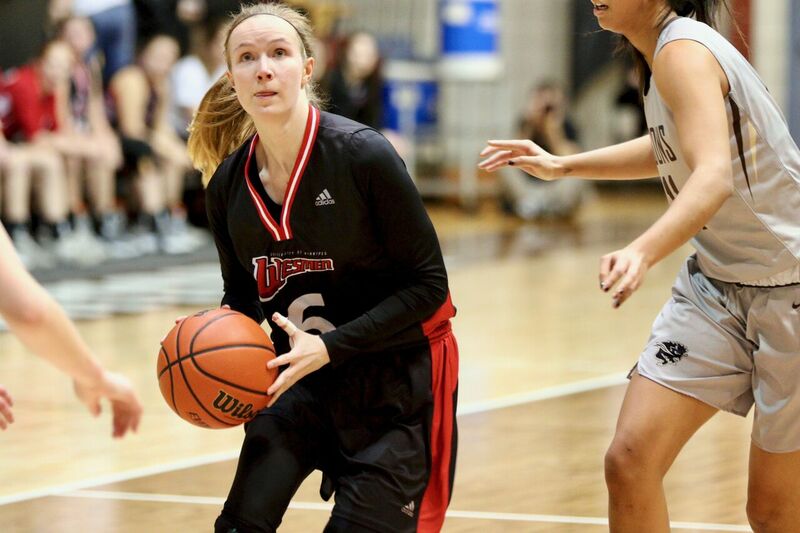 First in team scoring and second in conference scoring, Anderson led the Axewomen to a 18-2 regular season record, a first-place finish in the AUS standings and a playoff bye through to the semifinals of the Subway AUS Women's Basketball Championship. In four seasons with Acadia, she amassed 1,446 points to a set a new school record for career points scored. She also set new school records for career free throws made with 292 and for points in a single game, scoring 41 in a 2016 game versus StFX. Anderson finishes her career as a two-time AUS MVP, having first earned the conference's top honour in 2015-16. She is the only Acadia player to ever be named U SPORTS MVP. 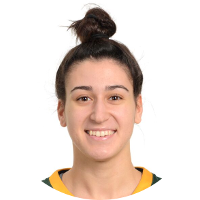 She is also a three-time AUS first team all-star, having been named to the AUS first team all-star squad for the third consecutive year, as well as a two-time U SPORTS First Team All-Canadian. Paloma has always been an outstanding athlete, but has really developed more control and calm to her game this season. 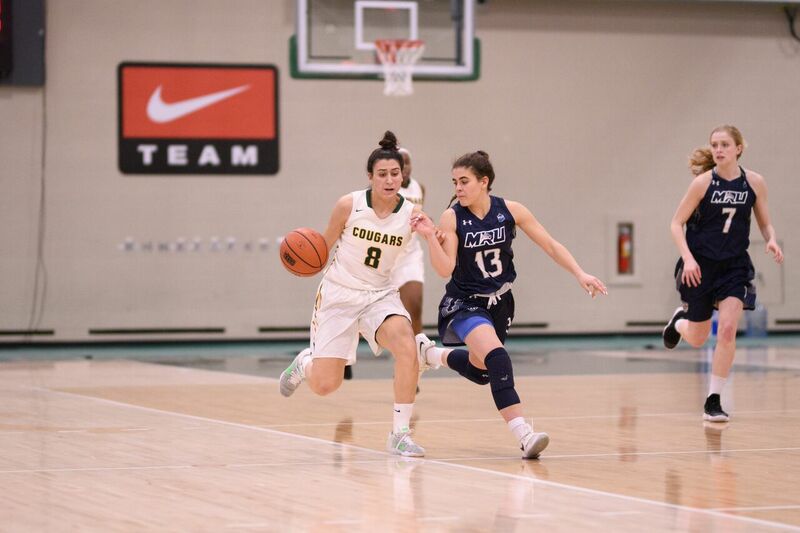 Carolina Gonçalves played a key role off the bench for Regina in her first season with the Cougars, but was still third on the team with an average of 12.1 points per game and fifth on the Cougars with 40 assists while averaging just under 22 minutes played per contest. 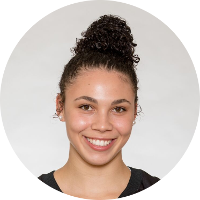 She joined the Cougars with a significant amount of international experience, and bolstered her resume in November by joining Portugal's senior national team for two qualification games for the FIBA Women's EuroBasket 2019 tournament. She is the second straight Regina player to be named the nation’s top rookie after Kyanna Giles earned the honour a season ago. Carolina had an immediate impact on our team by giving us another quality scorer. Given her international experience, she's been able to fit right in and contribute on a nationally-ranked team. To play the significant role she has for us is a testament to her skill level and Carolina has an extremely bright future in this sport. 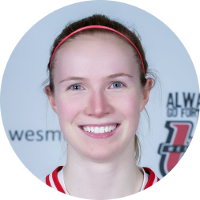 Elizabeth Leblanc of the Carleton Ravens is the 2017-18 recipient of the U SPORTS Defensive Player of the Year award. 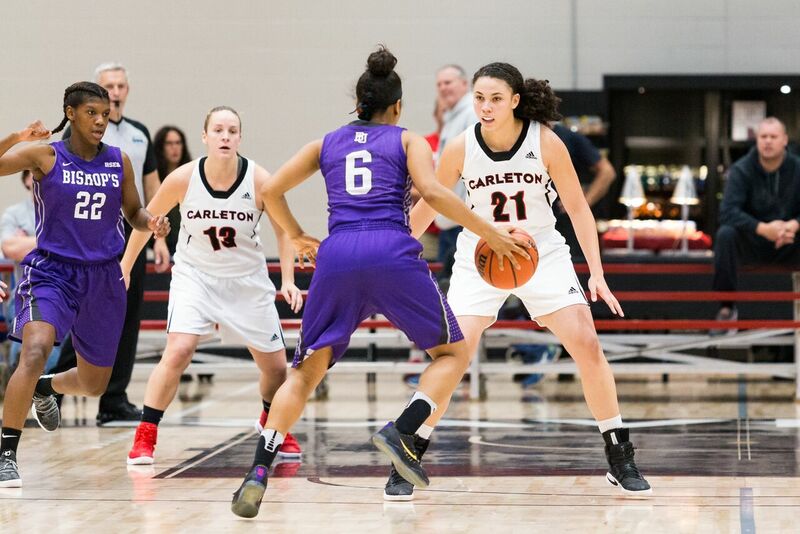 With 26.7 minutes per game – her third consecutive season leading the Ravens in playing time – Leblanc accumulated 110 rebounds, 26 blocks (14th in U SPORTS) and 23 steals, providing the Ravens with stellar defence despite repeatedly being matched up with the opposing team’s top scoring threat. Elizabeth had an exceptional season to help us rank as the top defensive unit in the country. Elizabeth routinely shut down the opposing team’s best offensive player each and every game. Her ability to defend all five positions on the floor at various times during this season is truly special. Leblanc was a central figure in the Ravens’ nation-leading scoring defence that limited the competition to an average of 45.9 points per game during the regular season, which was 9.9 better than the next best defensive team in the country. Leblanc’s ability to read the game was evident as she committed only 16 personal fouls during the season. The Hamilton Transway (JUEL) product is the only player in the country to register at least 100 rebounds, 20 blocked shots and 20 steals while committing fewer than 40 personal fouls in 2017-18. Leblanc, a native of London, Ont., is the first Raven to win the U SPORTS Defensive Player of the Year. 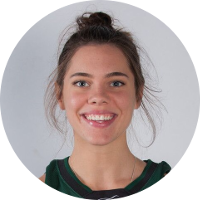 Five-foot-10 forward Kiera Rigby was named an AUS first-team all-star for the first time in her five-year career with the UPEI Panthers. She led the team in scoring, averaging 18.4 points per game, ranking eighth in the nation, while shooting a respectable 43.5 per cent (36.7 from beyond the arc). She also grabbed 4.3 rebounds a night to go along with 2.0 assists. The Charlottetown, P.E.I. native is also vital part of the community. Her interest in biology led her to the Queen Elizabeth Hospital (physical medicine and emergency departments), where she has volunteered over 80 hours since June. She also volunteers her time with the World University Services of Canada (WUSC), Canadian Cancer Society and Arthritis Society. If that wasn’t enough, she’s also a three-year member of the UPEI Varsity Leadership team, a tutor with Student Services and an active member of the UPEI Biology Society and UPEI Pre-Med Society. Rigby’s balancing act doesn’t end there and extends academically as well, where she has an outstanding 3.9 cumulative grade point average. The four-time Academic All-Canadian made the Dean’s List four times and graduated in May with a major in biology and a minor in biomedical physics. Rigby is currently doing her honours research in Dr. Adam Johnston’s exercise physiology lab, examining Duchenne Muscular Dystrophy. She intends on continuing her schooling afterwards and has applied to several programs across Canada specializing in physiotherapy, including Dalhousie, McMaster and the University of Toronto. She’s also preparing for an interview for a four-year program at the Canadian Chiropractic College in Toronto. Kiera is a born leader. She cares for everyone she comes in contact with, and that caring and supportive personality makes people want to follow her. Kiera always has time to uplift and support those around her. It’s amazing to watch how people of all ages are drawn to her magnetic personality. 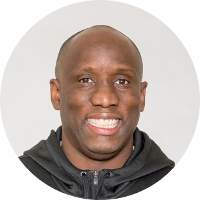 Taffe Charles of the Carleton Ravens is the 2017-18 recipient of the Peter Ennis Award as U SPORTS women’s basketball national Coach of the Year. In his 11th year as head coach at Carleton, Charles guided the program to a 23-0 record in conference play - the first undefeated regular season in school history – and a 3-0 finish In the OUA playoffs, as the Ravens captured their second consecutive Critelli Cup championship. Carleton is thrilled that Taffe has been recognized nationally as the U SPORTS women’s basketball Coach of the Year. This honour is a result of a culmination of hard work, dedication and commitment to building our women’s program over his 11-year career. The award recognizes the accomplishments of our student-athletes and Taffe as head coach. 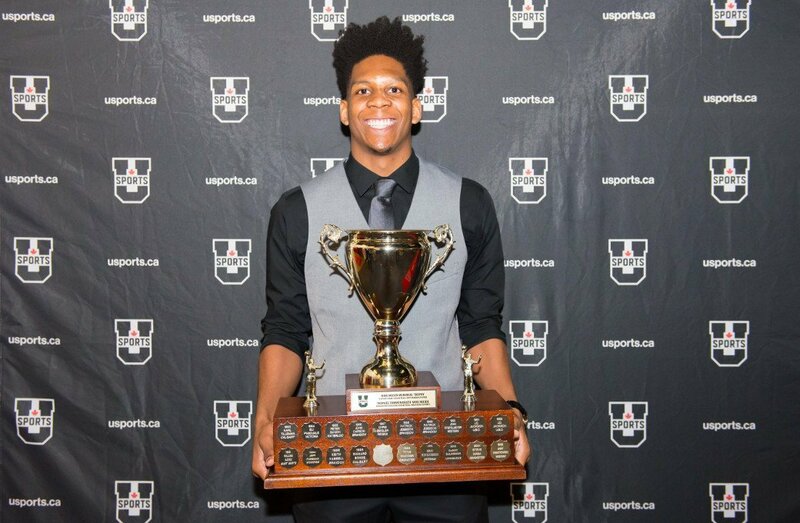 Behind Charles’ leadership, Carleton won by an average of 26.5 points per game, leading the OUA conference and ranking seventh nationally in scoring (72.4 PPG) while limiting opponents with a stifling defence that allowed only 45.9 point per game. The Ravens rose to the country’s No.1 ranking for only the second time in program history and maintained their top-flight status for the final four national polls of the 2017-18 season. Charles is the first Carleton coach to receive the Peter Ennis Award since its inception in the 1977-78 season. Lena Wenke served as a shining example of strength and courage, returning to her schooling, and later to basketball, after being the victim of a vicious assault in her home last May. The recovery process was arduous, but her dedication to her academic and athletic pursuits were an inspiration. Wenke’s life was saved by a Good Samaritan, the quick work of paramedics on the scene, and the doctors at Winnipeg's Health Sciences Center, where she remained on life support for 24 hours after the attack. Wenke returned to her psychology studies at the University of Winnipeg, and rejoined the team in November, showing remarkable courage and determination along the way. Wenke appeared in her first game Dec. 1 and would appear in nine conference games and four playoff games averaging more than 15 minutes per game in that span. Lena’s been a pillar of strength considering what she has been through and where she is now. When I look at what Lena’s done this season to return back to action and work through what she’s been through, she is a pillar of strength. She’s full of courage and I don’t know anyone stronger than her.